The Scottish Research Reactor Centre at East Kilbride was opened by Sir John Cockroft, Master of Churchill College, Cambridge, in 1963. It was Britain's first nuclear reactor for training and research and was shared by Scotland's five universities and Queen's University, Belfast. Thirty years later it was recognised that its useful life was over and the decision was taken to close the reactor. The project aim was to remove the reactor and delicense the site in such a way that the other research work could proceed with minimum disruption, leaving the research institute intact. Early discussions with the Nuclear Installations Inspectorate (NII) on the interpretation of the extremely stringent regulatory requirements indicated the difficulty (if not impossibility) of the task. However, with the full cooperation of the NII, a two-step approach was devised which resulted in the University having, for a few months, the smallest licensed site in the world before the licence was finally revoked. Professor Roger Scott(1941- )was a key figure in securing the funding to initiate reactor decommissioning. He played a major role in the team which successfully decommissioned the reactor and he was the architect of the successful effort to delicense the nuclear site. By clear strategic thinking, a detailed technical and legal knowledge of the practical, policy, and regulatory issues involved, and by quiet but determined diplomacy he achieved a goal whose cost-benefit ratio to science in the country was astonishingly low - perhaps by an order of magnitude compared to today's estimates for comparable reactors. One of the principal areas of the work undertaken was the effort expended on the determination of the radioisotope abundance of the reactor structure and thereby its impact on the characterization of waste for disposal and the radiation dose budget for personnel. Extensive use was made of remotely operated vehicles to minimize this dose. Roger Davidson Scott (1941 - ) was Professor of Nuclear Science at the University from 1995 to 1998. Scott attended Anderson Institute, Lerwick and then studied at the University of Edinburgh. He graduated BSc with first class honours and was awarded a PhD on Nuclear Physics. 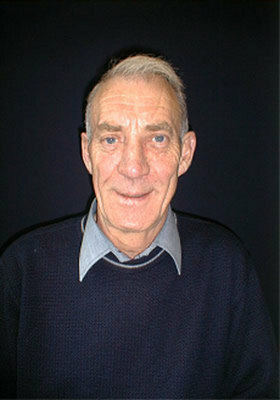 He worked at the University of Edinburgh for three years as a University Demonstrator and then became a lecturer there in 1968. In 1988, Scott was appointed Depute Director of the Scottish Universities Research and Reactor Centre and became Director in 1991. He was appointed to a personal professorship of Nuclear Science by the University of Glasgow in 1995. He was a key figure in securing the funding to initiate the decommissioning of the Scottish Research Reactor Centre in 2005. It was Britain's first nuclear reactor for training and research and was shared by Scotland's five universities and Queen's University, Belfast. Scott is a Fellow of the Institute of Physics and of the Royal Society of Edinburgh. He has been a Non-executive Director of the Nuclear Decommissioning Authority since 2004. Letter from Nuclear Installations Inspectorate to Secretary of Court 1 October 2008. World Changing Project, "Decommissioning of a Nuclear Reactor for the first time," in University of Glasgow World Changing (University of Glasgow, 2010); http://www.worldchanging.glasgow.ac.uk/article/?id=67 (accessed April 26, 2019). World Changing Project. "Decommissioning of a Nuclear Reactor for the first time." In University of Glasgow World Changing. University of Glasgow, 2010. http://www.worldchanging.glasgow.ac.uk/article/?id=67 (accessed April 26, 2019). World Changing Project. "Decommissioning of a Nuclear Reactor for the first time." University of Glasgow World Changing. University of Glasgow, 2010. 26 April 2019 <http://www.worldchanging.glasgow.ac.uk/article/?id=67>.